Today’s energy world is facing widespread transformation. The electricity and Oil & Gas sectors are taking note. Traditional, centralized electric grid models are evolving to a world of distributed energy resources; variable decarbonized renewables are increasingly being integrated into electric grids; and there is growing engagement from demand-side consumers. Concurrently, advancements in the Industrial Internet of Things (IIoT) are enabling Oil & Gas companies to run leaner, more efficient, more sustainable, and safer operations. This changing landscape accelerates our collective ability to lower greenhouse gas (GHG) emissions from the energy sector; at present, that figure is 40% of total GHG emissions. We are running out of time to bring down this number. With transformation comes opportunity. Utilities still will have a critical role to play in this new energy landscape, and we look to Oil & Gas to leverage IIoT advancements to emerge as a strong player, too. Specifically, Schneider Electric is enabling all energy stakeholders to be more digitized, flexible, and dynamic to address the challenges of changing business models; aging infrastructure; climate concerns; and the lack of global access to clean, reliable energy in many remote communities. At the same, grids also must meet increased requirements for performance in a world where electricity is taking a higher share of the full energy mix. Digitization will lead the way. The internet already has altered the way we live, work, and play. Connectivity has driven gains and advances in efficiencies required to operate and thrive in the New Energy World, while ushering a more decarbonized and more decentralized energy landscape. For example, we can look to smart buildings to lower electricity consumption by using Schneider building analytics tools, smart panels, and a building management system to ensure that facilities save more each year. In fact, we’ll even help building customers fund their efficiency projects through energy performance-based contracts, with an ROI of less than three years. That’s a real tipping point toward efficiency. Digitization and decentralization mean that utilities can respond flexibly and effectively to consumers-turned-prosumers, empowering them to influence where their electricity comes from and when to consume it. With individual consumers as additional energy stakeholders, we’re all working toward a common goal: greater energy efficiency worldwide. Along with smart meters, microgrids present a powerful tool for achieving efficiency gains. Microgrids help consumers use energy in the most reliable, efficient, and sustainable way possible. Not to mention microgrids’ role in closing the energy gap in remote communities that have little or no access to reliable electricity. create value beyond the meter on the demand side. Likewise, Oil & Gas is an essential part of a hopeful energy outlook. Oil & Gas currently faces increased volatility of oil prices, which have plummeted in some regions, a changing global political landscape, and increased penetration of renewables in the grids. During this period of immense transition, Oil & Gas can look to efficiency to advance change. Enabled by the convergence of Operational Technology (OT) and Information Technology (OT), the Industrial Internet of Things is accelerating next-generation energy management and automation processes that can increase operational efficiency, energy efficiency, and process agility. By leveraging digitization, IIoT improves asset management and performance; simplifies operational processes; heightens operational efficiency; and engenders proactive and agile operations upstream, midstream, and downstream. Consider, for example, that a smart pipeline network lets an operator see in real time and in immersive 3D whether a leak is about to form — and where the risk is. The power of IIoT in the Oil & Gas sector enables everyone — from producers to refiners — to operate safer, more efficient operations that increase margins and help reduce primary energy use. Schneider Electric’s EcoStruxure™ for Oil & Gas delivers IoT-enabled solutions that drive both operational and energy efficiency. Our interoperable, scalable system is based on tested and validated reference architectures, making it much easier for our Oil & Gas customers to deploy business-driven, digital capabilities quickly. What are some of EcoStruxure’s specific benefits? 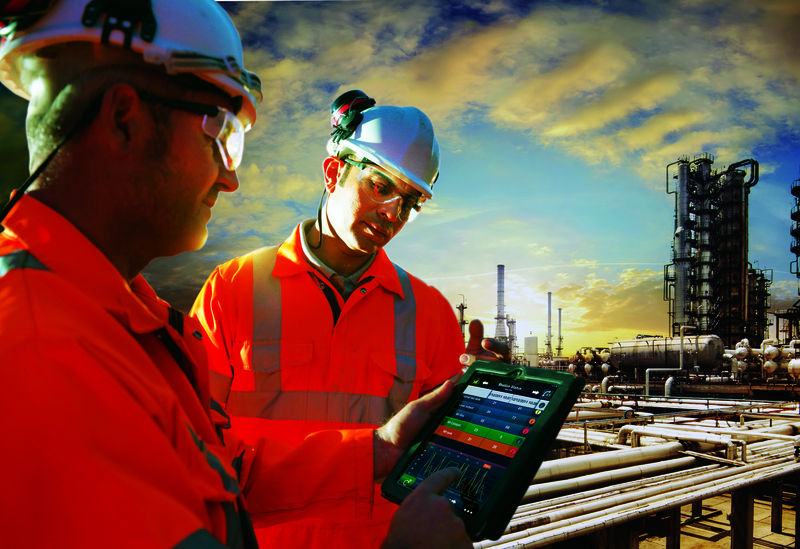 Asset Performance Management software improves refinery profitability through digitization and the optimization of both operational assets and the workforce. Simulation tools enable the training of a new workforce, for example, to replace the industry’s significant number of retiring personnel. And remote services applications leverage secure connectivity and analytics to improve integration, from well to control room, to deliver production within current cost constraints. Schneider Electric’s approach, built on EcoStruxure: Innovation At Every Level, delivers better profitability management and agility to help utilities and Oil & Gas seamlessly navigate today’s energy transformation and transition. In the long run, Schneider Electric is empowering our utility and Oil & Gas customers to emerge as strong leaders in the New Energy World. Interesting article! Very informative! What will be the benefits for end users? Yeah!! You are right. In today world electricity, oil and gas play a significant role human life. Informative. IoT will play more AI in Oil and Gas sector. Powering the Post COP21 World Powering the Digital Economy Redefining Power Distribution for a Digital World What will the New Energy World feel like? And is it really possible?